Exporter of a wide range of products which include marble flower vase and luxury marble flower vase. Outfitted with a wide spread and facility enriched infrastructural, we are providing an elegant collection of Decorative Marble Flower Vase. Our offered vase is extensively used in homes, hotels, offices and other places for decorative purposes. We have a team of creative professionals who design this vase from qualitative marble and sophisticated technology as per the latest trends prevailing in the market. After considering the diversified needs of the clients, we provide this vase in numerous sizes and shapes. Production Capacity: As per client requirment. 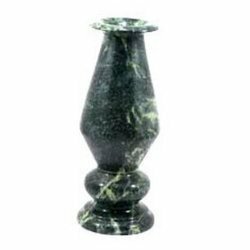 We are the leading Manufacture supplier exporter of Marble Flower Vase and offer this product as per client requirement and The offered range of designer vases is suitably inspected in varied characteristics to ensure its adherence with the highest quality norms and standards. Along with this, the offered range of designer . By focusing on variegated demands of our respected clients spread all over the country, we are offering a trendy range of Luxury Flower Vase. Our offered vase is extensively used in hotels for decorative purposes. We have a team of creative professionals who design this vase from qualitative marble and sophisticated technology as per the latest trends prevailing in the market. 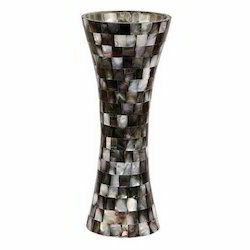 After considering the diversified needs of the clients, we provide this vase in numerous sizes and shapes. 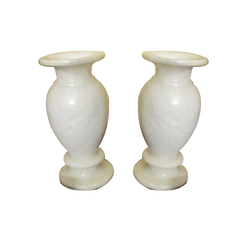 Looking for Marble And Soapstone Flower Vase ?